My name’s Kieran and I have a confession to make. I am… an extremely sweaty sleeper. 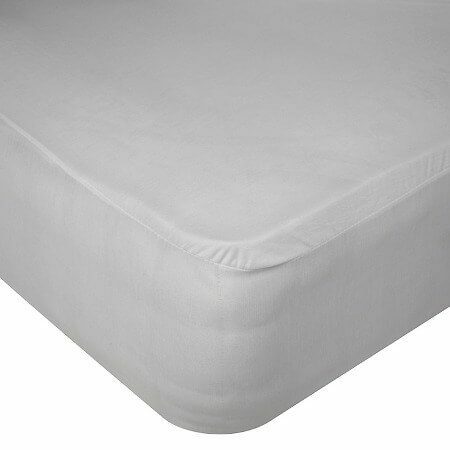 A mattress protector will increase the life of your mattress and keep your mattress fresh. Getting a waterproof one means that spills are a worry of the past. Getting a quilted non-waterproof one will protect it from dust mites. So, here is my guide to getting yourself the perfect mattress protector! I’ll talk you through what you should expect from a mattress protector and give you some reviews of the best ones available, along with links to where you can buy them online. It does this in two ways, which I just touched on. The first is that it stops moisture getting to your mattress. This means you won’t get those big yellow stains and you won’t get bacteria growth in your mattress. The second is that it stops dust mites from being able to get inside your mattress, which is brilliant because it’s so difficult to get dust mites out once they’re in. Many people have allergies to dust mites which can cause blocked or runny nose and scratchy throats in the morning. 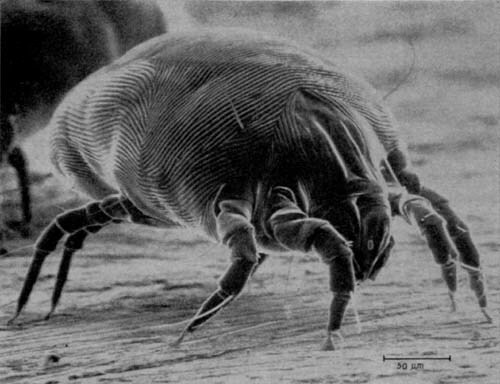 Dust mites also belong to the same family as spiders. Gross. Most mattress protectors are also machine washable, which further helps this problem. 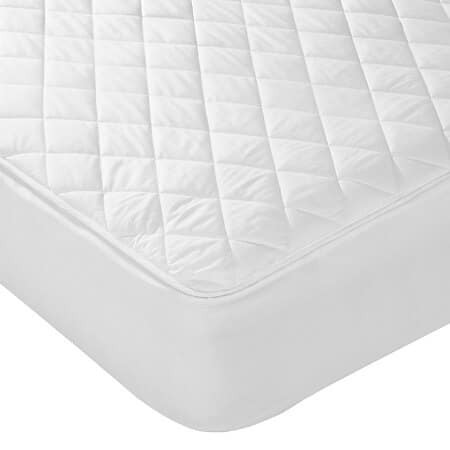 What should I look for in a mattress protector? 1. Is it machine washable? Your mattress protector is effectively catching all the bacteria and dirt before it can get to your mattress, so being able to wash it is really important. That’s why all the mattress protectors that I’ve recommended can be chucked in the washing machine. Nice and easy! This is arguably the most important factor if you’re a sweaty sleeper (like me) or if you’re buying this for a kiddo who hasn’t grown out of wetting the bed yet. There’s a sweet spot with buying a waterproof mattress protector, since you want something functional that doesn’t rustle or make you feel like you’re in a hospital bed. You need a good quality blended fabric protector. This is really important, since you don’t want any liquid or bacteria to get trapped in your mattress with a binding mattress protector. A breathable one will let air flow between you and your mattress and it’ll also stop you from overheating. 4. Is it made from a comfortable material? You’re going to be lying on top of this mattress protector, so it should definitely be comfy! There’s no point in having a high-quality mattress or high-quality bedding if the thing in between is jabbing or tickling you all night. Now that you know more about the kind of mattress protector you want, here are the three best mattress protectors on the market. With each one, you’ll find a short review and a link to where you can buy it online. If you have any questions about what to go for, please don’t hesitate to leave them in the comment box at the bottom of this post. I’d love to help you out. 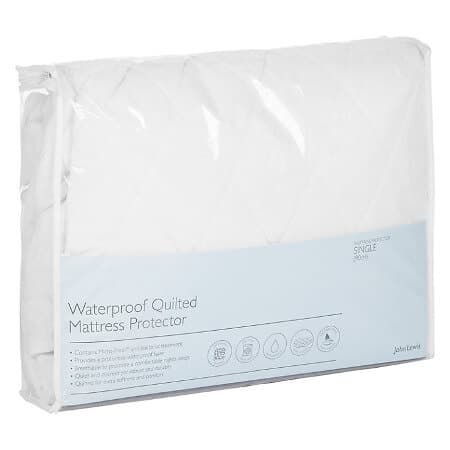 In my opinion, this is the best waterproof mattress protector you can get. There’s no nasty plastic feeling and you can hardly tell that’s it waterproof when you lie on it. The quilted top just feels luxurious! It’ll fit on any mattress up to 35cm deep, so it should be suitable for most people. The Micro-Fresh technology is award-winning and is special because of the hypoallergenic material built in to the mattress protector. It adds an extra layer of protection so no germs, no bacteria and no dust mites! The only downside is that it can’t go into your tumble dryer but it can be hung up no problem. This one was designed for Tempur mattresses but you can still use it if you have a different one. This protector is incredibly high quality, so much so that you can sleep straight on this without having to put a sheet on top of it. And it’s waterproof! It can go into the washing machine and the tumble dryer and straight back on the bed, which will be ideal if there’s a little person in your life who still has accidents from time to time. Unbelievably, Tempur have a ten-year guarantee and considering that you sleep directly on this, the guarantee is really awesome. The only reason that this protector is second on the list is because it’s more expensive and the 27cm max depth makes it unsuitable for a lot of mattresses. However, with the high quality of this one, you won’t be disappointed! 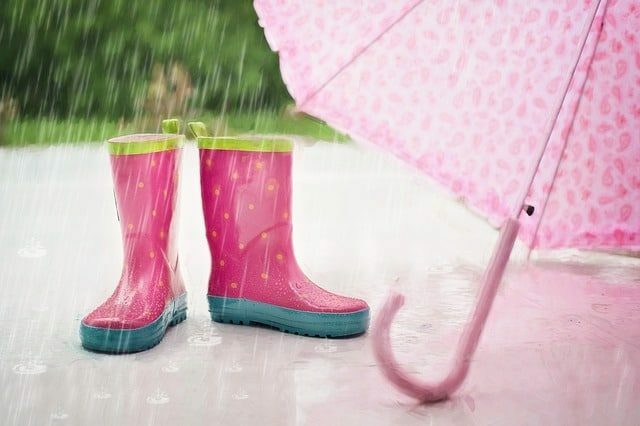 I’ve talked a lot about all the great reasons to getting a waterproof mattress protector but the fact is if you don’t really need one you might be better off with a non waterproof. They aren’t necessarily any better or higher quality but they do come in a little cheaper than their waterproof counterparts so it’s something to think about. This is really similar to the other John Lewis one but this is 100% cotton, so not waterproof. The quilting adds extra padding and comfort but also makes the protector breathable. This breathability, along with the Micro-Fresh technology, stops the spread of bacteria and blocks dust mites. All in all, this protector is reasonably priced for the quality you get. If you still have questions, feel free to leave them them in the comment box below and I’d love to help you out. Thank you so much for stopping by! 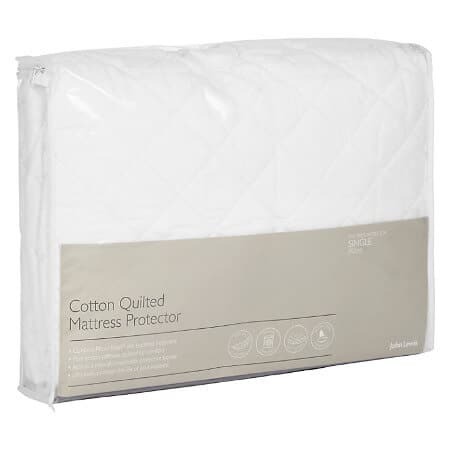 Having read all the info above I think this John Lewis Mattress Protector it’s Silk (not cotton but still great) can work up to 35cm deep and no warning against electric blankets. Hope that helps!